"I am here - Lord of the important and the unimportant - the proud and the humble. I am the Refuge and Protector of the Remnant Faithful and of all who hold wisdom and Truth in their hearts. I am Lord of those who are misled by their own opinions." "Decades ago I sent the Holy Mother to earth requesting the title 'Protectress of the Faith'. It was summarily dismissed as unnecessary and unimportant. * So, I am coming here** as Protector of the Remnant Faithful. I do not seek earthly approval. I seek the souls who are confused by earthly challenges of the Faith. I desire they come into My Paternal Heart as a safe Refuge and be united in the Truth. Those leaders who reign over confusion and do not attempt to reconcile it with the Truth are answerable to Me. I show no partiality towards power in the world. Rather, those in positions of great influence have much more to answer for." 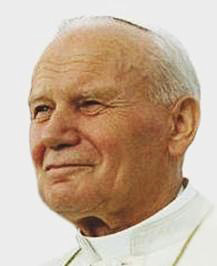 "The Tenets of Faith and My Commandments will not change to suit an erring population. I pay no deference to pleasing people. I wait patiently for people to please Me through obedience"
"Protecting the faith, which was deemed unnecessary in the past, has taken on all importance, as the popular challenges of the Faith are supported by those in leadership roles. Answerable to Me are those who compromise the Truth and abuse authority. I cannot state it more clearly." During his office as Patriarch of Jerusalem from 1206 to 1214, Albert Avogadro wrote a Rule for the hermits living on Mount Carmel. 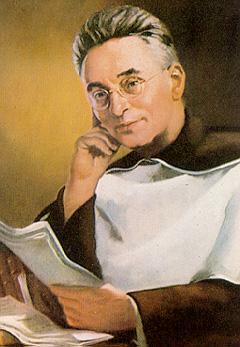 The Rule of Saint Albert is still in use as the Rule for Carmelites. 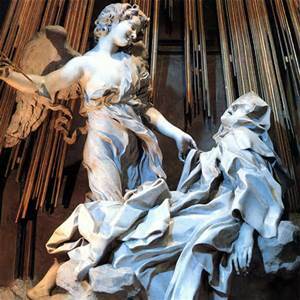 Returning to what she called "the primitive Rule," meaning the unmitigated Rule, became for Saint Teresa of Avila a priority for her reform of the Order in the 1500s. 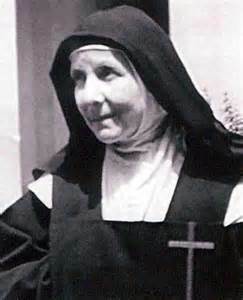 For her at that time, keeping the primitive Rule meant that the nuns should have no possessions of their own, that they should live on alms and not on an income, and that they should not eat meat. Also, the spirit of enclosure was embodied in the primitive Rule with the stipulation that the hermits, when not engaged in necessary work for the community, should remain alone in their cells "pondering the law of the Lord." 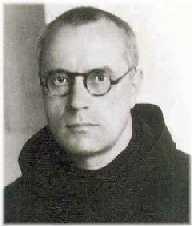 The eremitic spirituality was the basis of their contemplative ideal of solitude and silence, which the reforming Saint sought to imitate and revive. Saint Albert was murdered at Acre while processing with Christians. Excerpt from The Rule of Saint Albert: You may have foundations in deserts, or wherever they shall be given to you, suitable and adaptable to the observance of your rule, as the prior and the other religious shall judge proper. Moreover, each one shall have a separate cell, in the place wherein you propose to live, which shall be assigned to him by the order of the Prior, and with the consent of the other religious, or the more capable part of them. But you shall all assemble in the refectory to take in common the food which shall be given to you, while hearing some part of Holy Scripture read, when this can be conveniently done. No religious shall leave the cell assigned to him or exchange it with another without leave from the Prior. The cell of the Prior shall be at the entrance of the monastery, in order that he may be the first to meet those who come there and everything shall be done according to his will and direction. Each one shall remain in his cell or near it, meditating day and night on the Law of the Lord and watching in prayer, unless otherwise justly occupied. Juanita Fernandez Solar was born in Santiago, Chile, on July 13, 1900, and died on April 12, 1919, in the Carmel of the Andes. 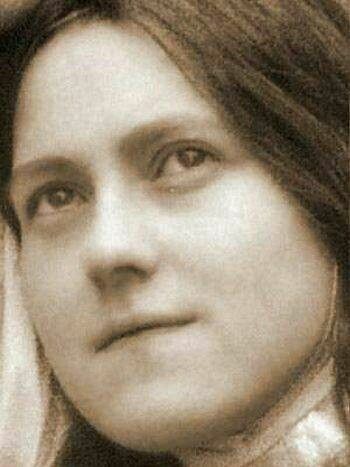 She was canonized by Pope Saint John Paul II in 1993, who proposed her as a model for youth. 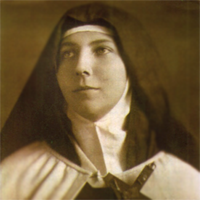 From her writings: Jesus alone is beautiful; He is my only joy. I call for Him, I cry after Him, I search for Him within my heart. I long for Jesus to grind me interiorly so that I may become a pure host where He can find His rest. I want to be athirst with love so that others may possess this love. I would die to creatures and to myself so that He may live in me. Is there anything good, beautiful or true that we can think of that would not be found in Jesus? Wisdom, from which nothing would be secret. Power, for which nothing would be impossible. Justice, which made Him take on flesh in order to make satisfaction for sin. Providence, which always watches over and sustains us. Mercy, which never ceases to pardon. Goodness, which forgets the offences of His creatures. Love, which unites all the tenderness of a mother, of a brother, of a spouse and which, drawing Him out of the abyss of His greatness, binds Him closely to His creatures. Beauty which enraptures . . . what can you think of that would not be found in this Man-God? Are you perhaps afraid that the abyss of the greatness of God and that of your nothingness cannot be united? There is love in Him. His passionate love made Him take on flesh in order that by seeing a Man-God we would not be afraid to draw near Him. This passionate love made Him become bread in order to assimilate our nothingness and make it disappear into His infinite being. This passionate love made Him give His life by dying on the Cross. Are you perhaps afraid to draw near Him? Look at Him, surrounded by little children. He caresses them, He presses them to His heart. 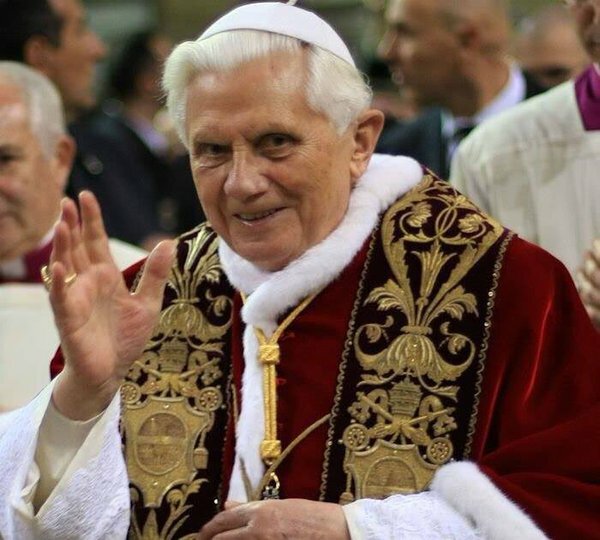 Look at Him in the midst of His faithful flock, bearing the faithless lamb on His shoulders. Look at Him at the tomb of Lazarus. And listen to what He says to Magdelene: "Much has been forgiven her because she has loved much." What do you discover in these flashes from the Gospel but a heart that is good, gentle, tender and compassionate: in other words, the heart of a God? I want to spend my life in deep silence, in the depths of my heart, in order to listen to the voice of Jesus. Theodora, a name meaning "gift of God," was born January 17, 1901, in Bari, Italy. 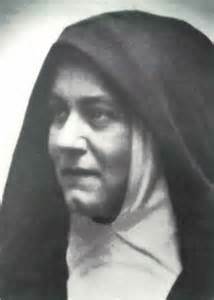 She entered the Carmelite monastery there at the age of nineteen, and died seven years later on Christmas day after making her total offering of herself to God in 1924. 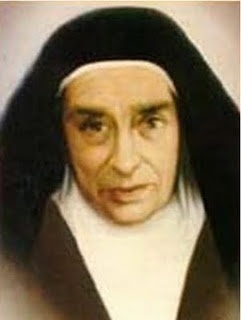 She was beatified in 2005 by Pope Benedict XVI. My Delight, who could ever separate me from You? Who could be capable of breaking these strong chains that keep my heart attached to Yours? Perhaps the abandonment of creatures? It is precisely this that unites the soul to its Creator. . . . Perhaps tribulations, suffering, crosses? It is in these thorns that the canticle of the soul that loves You is freest and lightest. Perhaps death? But this will be nothing but the beginning of true happiness for the soul. . . . Nothing, nothing can separate this soul from You, not even for a brief moment. It was created for You and is lost if it does not abandon itself to You. My life is love; this sweet nectar surrounds me, this merciful love penetrates me, purifies me, renews me, and I feel it consuming me. The cry of my heart is, "Love of my God, my soul searches for You alone." My soul, suffer and be quiet; love and hope; offer yourself, but hide your suffering behind a smile, and always move on . . . . I want to spend my life in deep silence, in the depths of my heart, in order to listen to the gentle voice of my sweet Jesus. Saint Mary of Jesus Crucified believed that she saw Our Lady after being mortally wounded. Our Lady prophesied that she would enter the Carmelites. 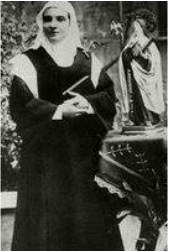 Mary Baouardy was born in 1846 in Abillin, near Nazareth. She was the first surviving child of Georges and Mary Baouardy, poor powder-makers who had lost twelve boys in infancy. Mary was born in answer to a novena to the Blessed Virgin in Bethlehem, with the promise that she would be named for her. Two years later, her brother Paul was born, and then, tragically, both parents died of an infectious disease, leaving Mary and Paul orphaned. They went to live with different relatives, and never saw each other again. These events were only the first of many sufferings in store for little Mary. Her wealthy uncle treated her well, but as was the custom during those times, he had arranged a marriage for her when she was only thirteen. Mary had always loved Jesus and the Virgin, and she did not want to marry. She prayed. The night before her wedding, Jesus spoke to her, telling her that He would help her. She cut off her beautiful long braids, wrapped the jewels she had been given in them, and sent them to her uncle. This made him furious, and from that day Mary was treated as a household slave. In her anguish, she befriended another servant, a man who was a Muslim. He promised to help her to deliver a letter to her brother in a different town. But when she went to his home with the letter, he tried to force her to renounce her faith in Christ. This she refused to do, and the angry man slit her throat. The next thing Mary remembered was a beautiful woman in blue came to her with a delicious broth that gave her strength. The woman dressed her wound, and then told her that she would enter a Carmelite monastery, make her vows in another, and die in another. This prediction proved true, because Mary later entered the Carmel of Pau, France. She assisted a foundation in India where she made her vows, and she died in the Carmel that she had helped to found in Bethlehem. Awaking in a confessional in a Franciscan church located in Jerusalem, Mary began working as a domestic. A series of positions led her to the family that brought her to France, where she began her religious life as a Sister of St. Joseph of the Apparition, but her mystical graces alarmed the sisters, and they did not accept her there. Her novice mistress brought her to the Carmel of Pau, where she was accepted and given the name Mary of Jesus Crucified. She died in the Carmel of Bethlehem from a fall that wounded her leg in 1878. Mary of Jesus Crucified was just canonized by Pope Francis on May 17, 2015. 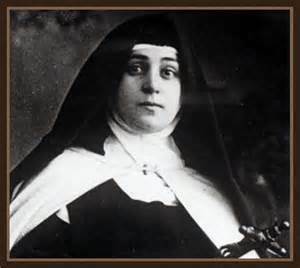 Mother Maria Maravillas of Jesus was canonized by Saint Pope John Paul II in 2003 after establishing the Association of Saint Teresa in 1972 to help recover the Carmelite observance as practiced by Saint Teresa of Avila in her Constitutions. 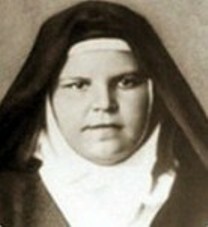 Mother Maravillas of Jesus was canonized by Saint Pope John Paul II in 2003.